NUFC’s interest in international winger confirmed – & he could sign for just £2m – Report – NUFC blog – Newcastle United blog – NUFC Fixtures, News and Forum. 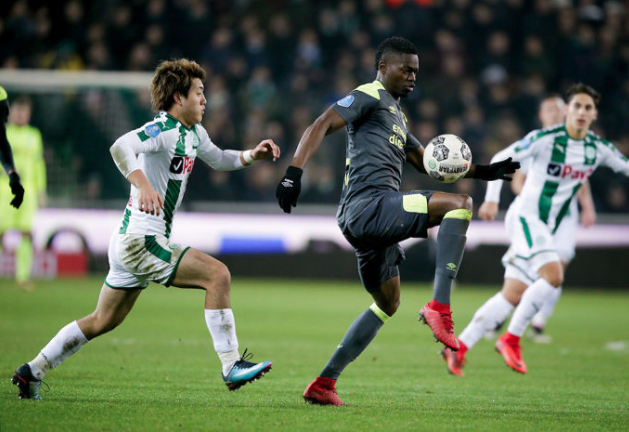 The Chronicle have confirmed that Newcastle have sent scouts to watch highly-rated Japanese international Ritsu Doan – with the Groningen winger said to be available for just shy of £2m. Doan is rated as one of the biggest talents in Japan and has been impressing in the Dutch Eredivisie lately, managing 10 goals last season as a 19-year-old and bagging 4 goals and 2 assists so far this term. ‘Newcastle United have checked out Japan international winger Ritsu Doan ahead of the January transfer window. ‘Sources in Holland have indicated United have taken a look at 20-year-old Doan in recent months with the player currently plying his trade in the Eredivisie with Groningen. ‘United are keen to bolster their options out wide and Doan can play on either side of the field. ‘Doan has also been tracked by Manchester City in January but they won’t be able to offer him the same amount of first team chances as Newcastle. Unfortunately, Rafa seems to have to do his shopping around Europe, with he and our scouts forced to sniff out cut-price bargains, however Doan does sound like a potential bargain at this price. Whether he’s who we need right now – being an unproven 20-year-old – is a completely different matter, however. Asian players are good hard working players, good pro’s we need more of these in our squad. interesting story but i doubt they’ll want to sell a player who scored 10 goals for them in his first season, was nominated for the young player’s ballon d’or, and is already a full international for the same 1.7m they bought him for! surely would want somewhere around 10 to 15m at least.